Friendly and with a hint of Southern drawl, Mod Boulder Realtor Sean McIllwain has seen a shift during the five years he’s been in the real estate business: a turn toward modern. "We are seeing more and more modern homes: new homes in older neighborhoods. Spec homes are more modern looking. Entire planned developments, like Holiday in North Boulder, are more modern,” he said. 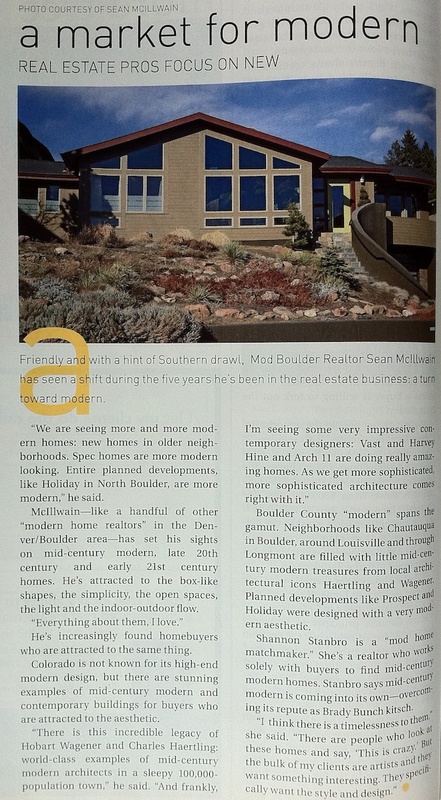 McIllwain-like a handful of other “modern home realtors” in the Denver/Boulder area-has set his sights on the mid-century modern era, late 20th century and early 21st century homes. He’s attracted to the box-like shapes, the simplicity, the open spaces, the light and the indoor-outdoor flow. "Everything about them, I love." He’s increasingly found homebuyers who are attracted to the same thing. Colorado is not known for its high-end modern design, but there are stunning examples of mid-century modern and contemporary buildings for buyers who are attracted to the aesthetic. 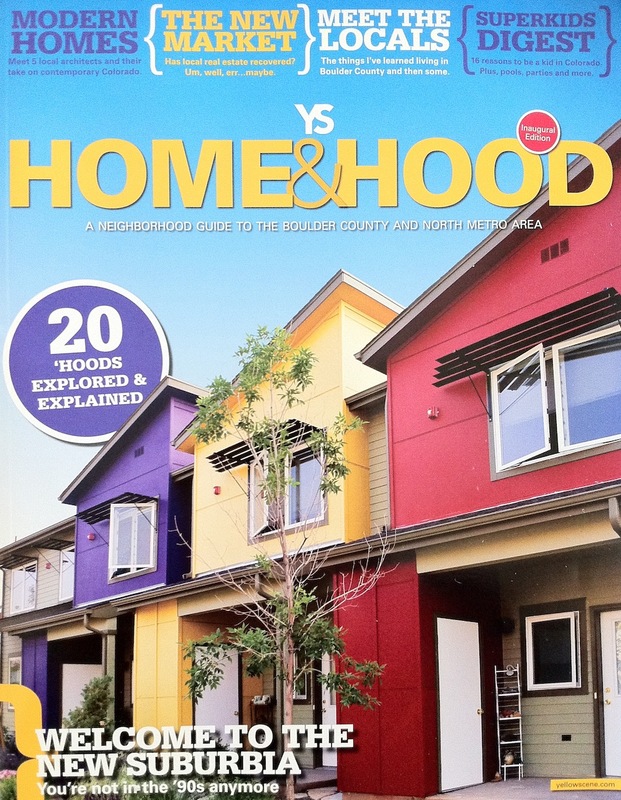 Boulder County “modern” spans the gamut. Neighborhoods like Chautauqua in Boulder, around Louisville and through Longmont are filled with little mid-century modern treasures from local architectural icons Haertling and Wagener. Planned developments like Prospect and Holiday were designed with a very modern aesthetic. Shannon Stanbro is a “mod home matchmaker.” She’s a realtor who works solely with buyers to find mid-century modern homes. Stanbro says mid-century modern is coming into its own—overcoming its repute as Brady Bunch kitsch.